Differential feed amount can be easily adjusted by using a dial.With a simplified dial mounted on the front surface of the machine, the differential feed ratio can be adjusted with ease. Low-vibration and low-noise promise comfortable operation. The low-vibration and low-noise design of the machine enables, the operator to concentrate on sewing works in a more comfortable environment. 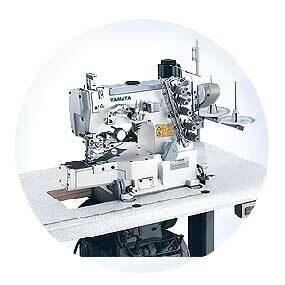 The small diameter of the cylinder makes it possible to sew narrow tubular materials.